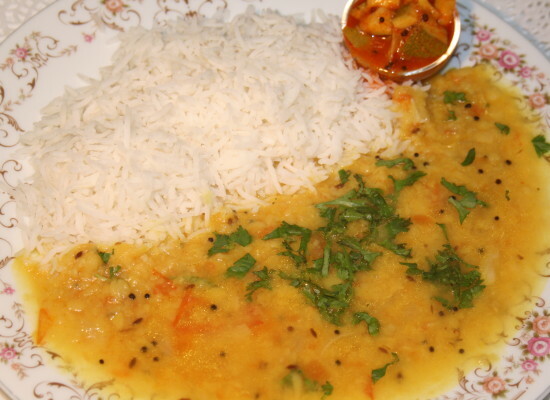 Talk of India to an American and the first few things that cross his mind will be great food, beautiful handicrafts and marvelous cultural heritage. India is known for its gorgeous art and craft forms, be it the woolen carpets of Kashmir, or the metal artifacts of ……, these form the pride of a curators’ collection. What makes them worth the value they have is the years of experience and skill that goes into mastering the art. Indian cottage industries have not just kept these arts alive but have also helped them reach out to a wider spectrum of audience. 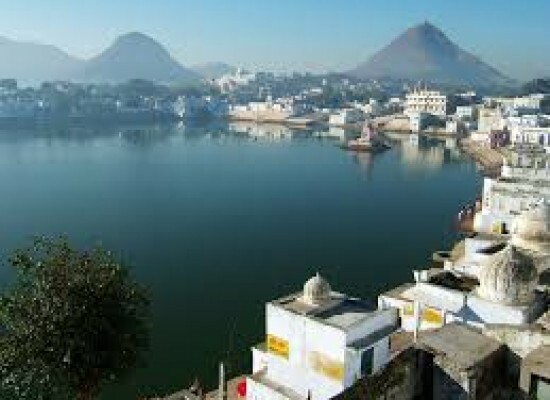 They play the role of a window to the age-old cultural heritage of Indian civilization for the outer world. Right from the time of Indus valley civilization dotting the face of India, clay and mud pots portray a magical coalescence of design and purpose. The excavation of ancient cities like Harappa and Mohenjo-Daro have revealed some of the finest forms of this age-old art. Indian villages have carried the patrimony of the art and have amalgamated immense thought and concept with picturesque aesthetics that appeal to the audience. 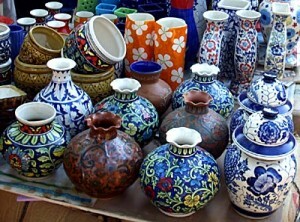 Indian pottery produces two types of products viz. glazed and unglazed pottery. Depending on the origin, the artists and the type of clay found in a particular region, every state has a unique sense of this art. While the villages of Alwar and Kutch are known for very fine paper-thin pottery with incised designs, the villages of Nizamabad in Uttar Pradesh are famous for black pottery with silver intricacies worked in it, thus striking a resemblance with the Bidar work of Andhra Pradesh. Some villages of Delhi, Jaipur, Amritsar and Tamil Nadu are known to produce gorgeous pieces of glazed pottery with white background and blue and green designs on them. The utility factor of this art is not just limited to pots or vessels; it offers a plethora of decorative items made like paper weights, flower vases, tea sets, ashtrays, pen stands etc. to choose from. These are examples of Karigari pottery which is famous in many Indian villages. 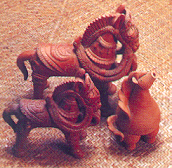 Terracotta is another art villages of West Bengal, Tamil Nadu, Gujarat and Bihar are famous for. While women in Bihar, Gujarat and Bengal prepare clay figures using this art to propitiate their deities, Gorakhpur in Uttar Pradesh has villages where clay figurines of animals are made. 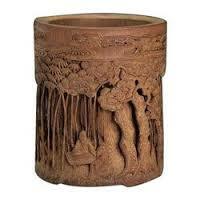 Wood, cane and bamboo crafts also feature among the multitude of art-inspired cottage industries. Bamboo carving was first introduced in the Sattras of Brahmaputra Civilization in Assam wherein the disciples would carve miniatures of gods, goddesses and their incarnations. The intricately and exquisitely carved figurines can still be seen in Majuli where the Sattras are housed. 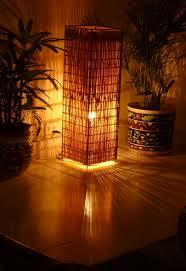 In the modern days, Indian artisans produce stunningly beautiful utility articles out of bamboo. Objects like baskets for storing clothes, vessels for carrying water, bamboo fans and furniture are some of those. Toys made by carving bamboo stems are also a symbol of excellent craftsmanship. Wood-carving like bamboo-art was also started with an impulse to decorate places of worship. The availability and easy accessibility to timber made it an excellent medium for artisans to portray their skill. Wooden idols of Hanuman, Garuda and other Indian deities are seen in various temples of Assam. Besides these, decorative and utility items like lamp stands, storage boxes and even wooden ornaments are a rage among art curators. Wood is also used to make the much famous and vibrant hued puppets of Rajasthan; and who doesn’t spend a buck or two to spectate a nice puppet act? Cane culture of Arunachal Pradesh is another vibrant craft tradition. Dyed cane strips are used to make parts of attires and other articles like baskets, bags etc. For instance, the Wanchos, a local tribe of the north-east, use dyed cane strips to make head gears, waist bands, armlets or even dancers’ baskets. The most common colours used for dyeing are red, yellow and black though the Monpas paint their strips in a variety of colours like red, pink , brown yellow, green and blue. 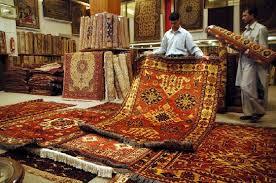 Carpet weaving is an ancient craft that originated in Persia which was introduced by Emperor Akbar in India. Years later, it has now flourished as a significant cottage industry in remote tribal and rural areas. Carpets, durries and rugs produced in villages of Kashmir, Punjab, Uttaranchal and Haryana cater to the international and indigenous markets alike. Be it the hand knotted silk carpets of Amritsar or the warm woolen carpets of Kashmir, place one of these in your drawing room and lighten the entire ambience up with the exquisite piece of art! Handloom industry is one cottage industry we are proud of. 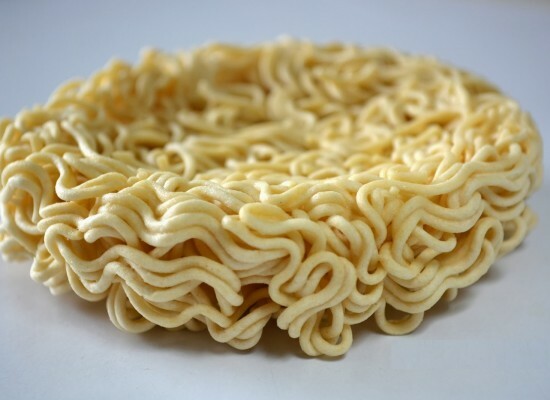 We boast about it as an ancient craft form that flourished as an industry between 5000 and 3000 BC. 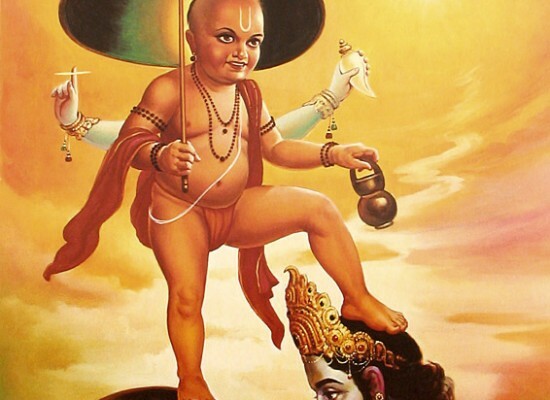 There are vivid accounts about this art form in our fables and epics like the Ramayana and the Mahabharat. The cities of Harappa and Mohenjo-Daro have had evidences of the use of woolen and decorative embroidery in handloom. Hand-spinning, hand printing and hand typing are the skills required to master the art. Besides providing employment to scores to people in the country, the industry also transcends linguistic and communal barriers. With Mahatma Gandhi preaching the concept of ‘Swadesi’ in his freedom-movement, khadi gained popularity as an indigenous fabric. Today we see Indians and foreigners of all classes sporting attires made of this handloom fabric with great pride. Ayurveda (Sanskrit for ‘life-knowledge’) or the Hindu tradition of medicine is another indigenous tradition that is native to the Indian subcontinent. Using natural plant products and elements of nature to cure or improve mental, physical and emotional health of a person is what it is known for. 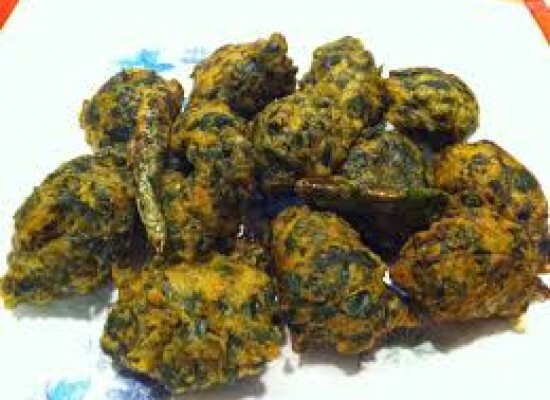 People practicing Ayurveda or under its’ influence seem to be content with it. 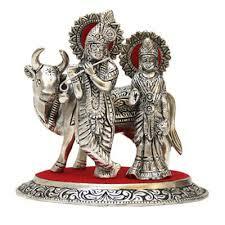 Among other main cottage industries of India are metal-molding to produce beautiful artifacts like idols, coir industry etc. These industries not only reflect the richness of Indian culture but also provide a means of livelihood to a large chunk of the Indian population. Appreciation and promotion of such arts will help them grow and flourish, and that is precisely what we need to do.